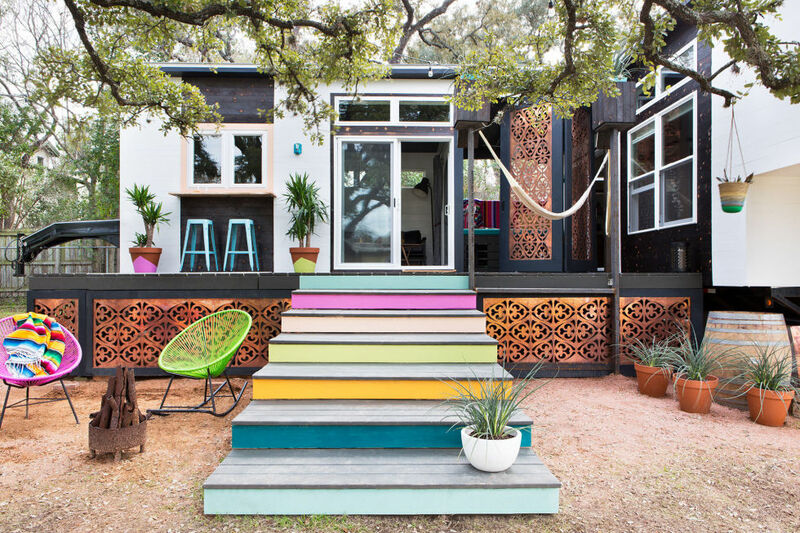 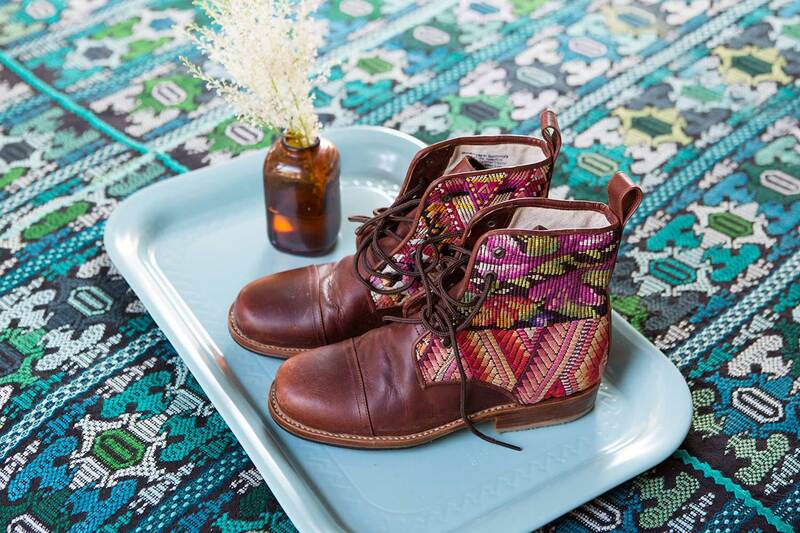 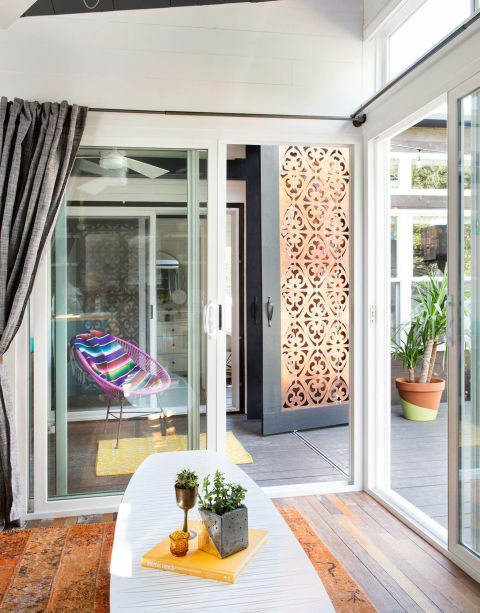 One of the most popular builds in the tiny house movement is this cool and colorful home of 380 sq ft (400 sq ft with the deck space). 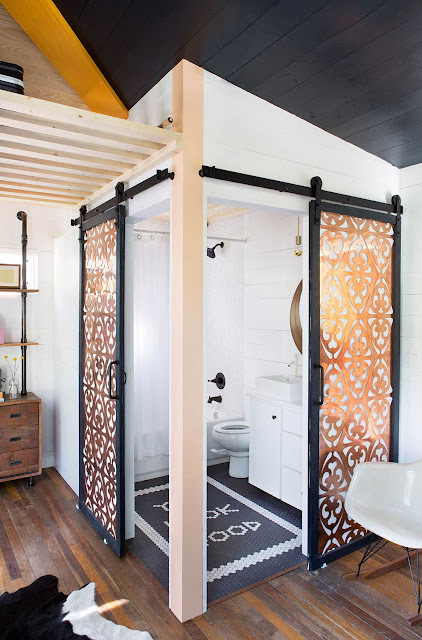 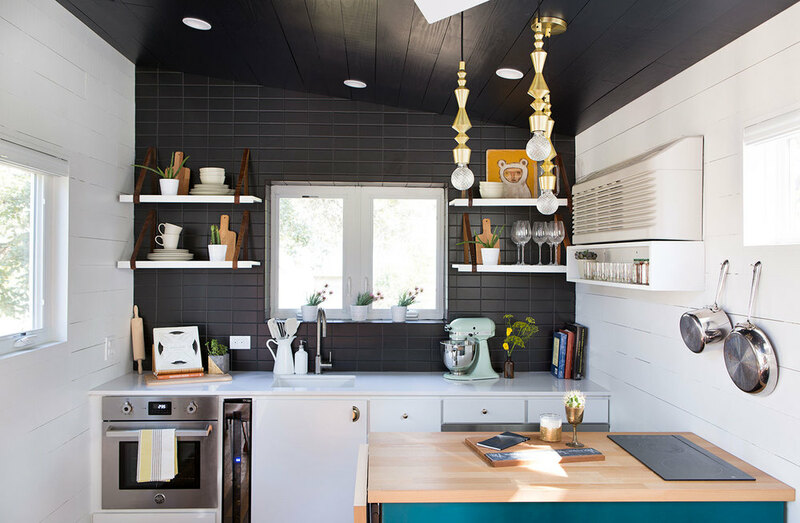 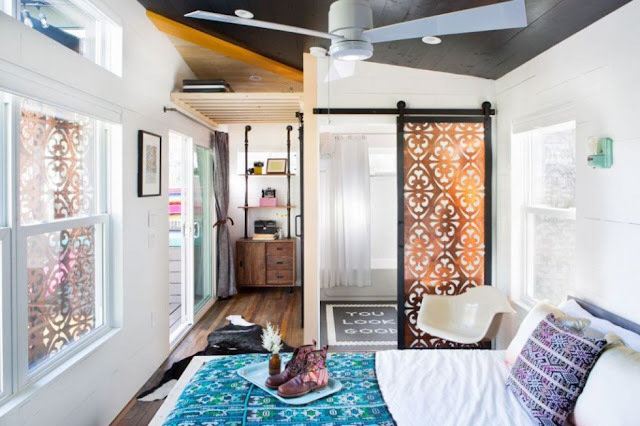 Designed by Austin-based designer, Kim Lewis, the home is actually two gooseneck trailers joined together. 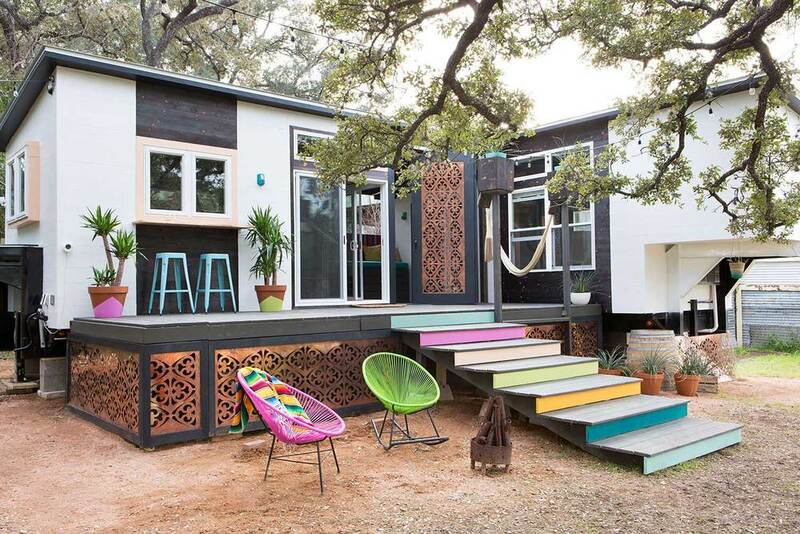 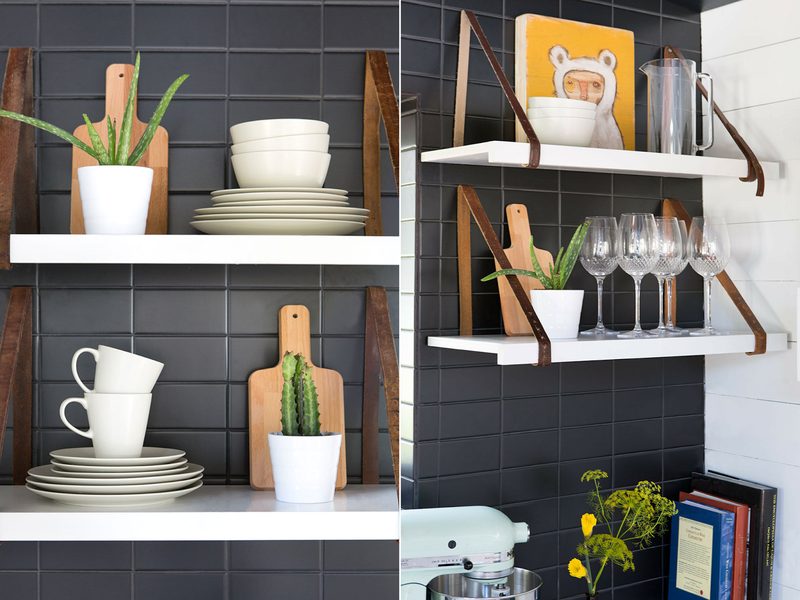 The home features a kitchen, bedroom, bathroom, and an outdoor deck. 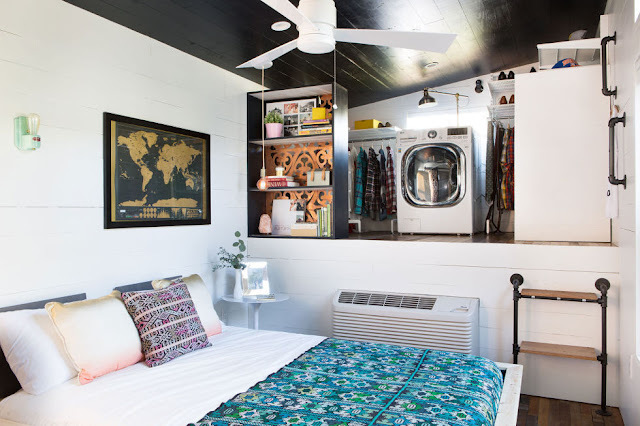 There's even a laundry room and a pretty sizable "closet" in the bedroom, built-in hammocks, and a screened-in porch with copper panels! 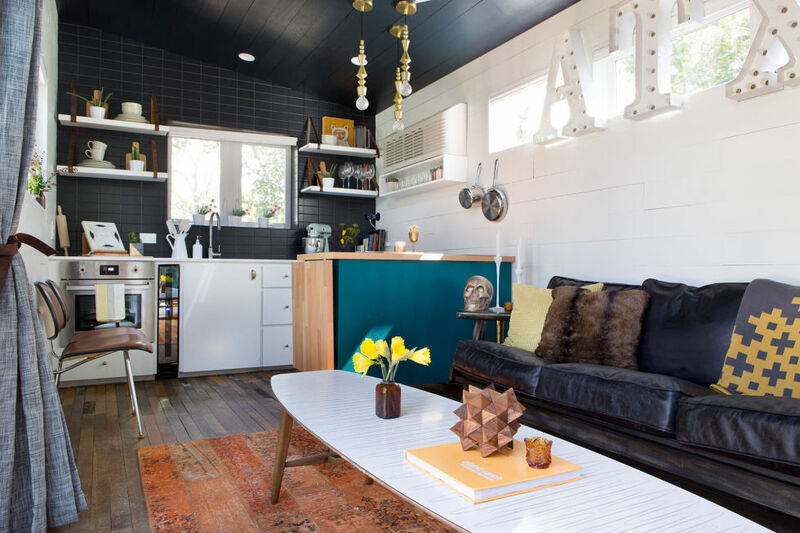 Be sure to check out a short video tour of the home below from the home's feature on Tiny House Nation!